Lockwood began his career with Waste Pro in 2013 as a Junior Financial Analyst in the corporate office, located in Longwood, FL. 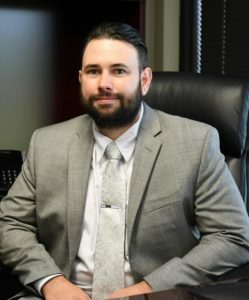 The following year, he joined the Management Development Program, which provided him the opportunity to further train in leadership and business administration. In 2015, he was promoted to Division Manager in Hattiesburg. A graduate of Florida State University with a bachelor’s degree in finance and real estate, Lockwood was a member of Waste Pro’s inaugural Leadership Initiative program, a mentorship program designed to develop a vibrant second generation of young leaders. He is the third member of his class to win this award; Waste Pro President Sean Jennings and West Coast Region Municipal Marketing Manager Tracy Meehan won in previous years. Lockwood will formally accept the 40 Under 40 Award in Las Vegas in May during WasteExpo, the annual waste industry conference.